Being a national fleet. First can and does move its buses around the country. 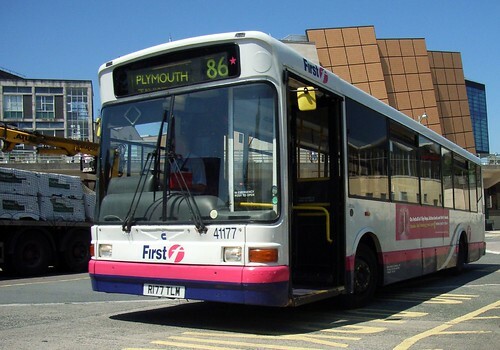 Devon and Cornwall has often been at the end of the chain in the past, but these days is just as likely to send its buses off elsewhere. First Cymru seems to be in line for most of the Marshall bodied Darts within the group in much the same way as Devon and Cornwall seem to be getting all the Hong Kong Darts. 41177 R177TLM is a recent departure being confirmed with Cymru this month.